If a large firm / industry becomes unprofitable and appears in terminal decline, what should the government do? If the firm goes bankrupt, it will lead to the loss of thousands of jobs, and negatively affect the areas where the firm is based. See: Problems of industrial decline. This creates a strong economic and political case for the government to offer some kind of intervention to help deal with social and economic costs of large scale unemployment. The Lancashire Cotton industry once employed thousands. These jobs are long gone. However, if the firm is in decline, some argue it is a mistake for the government to prop up a failing industry. Instead, they should allow the free market to take its course and allow new firms and new jobs to be created. Do nothing. Laissez-faire economics. Allow free market to ‘cull’ unprofitable firms, but allow new firms to come forward. Allow industry to fail, but provide support, benefits and training for those workers who lose their job and may struggle to relocate due to market failure. This is the classical economics response to declining industries. The justification is that the economy is always changing and it is fruitless for the government to try to fight against changing comparative advantage and changing profitability. The coal industry used to employ one million people, but now the economy has created very different jobs. Nobody would claim the government should still be subsidising one million miners to dig up coal, which isn’t needed like it used to be. Government intervention whilst it may be well-meaning is also liable to suffer from political pressures, poor information and lack of understanding about how the industry worked. (See: government failure) If private entrepreneurs fail to make a profitable business, it is unlikely that the government (with generally less expertise) will be able to reverse the fortunes. If the government does support failing industries, other firms may come to expect a government bailout so there is less incentive to make the business work. On some occasions, there may be a case for the government to support the industry and prevent bankruptcy. If necessary, the industry can be nationalised with the government absorbing any losses, with the hope the industry will be able to turn around. It will save jobs and prevent the local area suffering economic malaise. Also, it maybe that the government consider the industry important to the national interest (or an industry with high social benefit). In this case the government may wish to offer prolonged subsidy to the industry, even if it makes a loss and is unprofitable. For example, the rail industry started as private companies, but in the post-war period rail became unprofitable. However, the government offers subsidies and partial nationalisation of track infrastructure, because there are many external benefits from having alternative sources of transport which help reduce pollution and congestion. In other words, profitability shouldn’t always be the only evaluating factor. A more tricky issue is whether it is in the national interest to have your own steel / coal industry. Some governments may feel it is important to have your own steel industry in case imports become more expensive in the future. Others argue, it is better to rely on the principles of free-trade. Another reason for full government support is that the industry is going through short-term difficulties and is unable to keep creditors at bay. For example, the airline industry post 9/11 or the US car industry experienced short-term losses, but government support enabled the industry to survive this difficult time period and regain profitability. The difficulty is knowing whether the industries problems are short term (e.g. poor global growth, temporary over-supply) or whether these short-term issues mask a long term decline. An alternative to full nationalisation is partial nationalisation, where the government takes a stake to encourage investors. This acts as a test. If there is no private sector interest at all, the industry probably has no chance of profit. However, if the government stake encourages investors, it shows there is some hope for the industry. However, the problem with a partial stake is that it is usually the government which underwrites the losses, but the profits are taken by the private sector investors. In between laissez faire and nationalisation is a partial government intervention. Here the government focuses on offering support to those who lose out from the economic transition. The government can offer subsidies / benefits and free retraining programmes to the unemployed. This helps them to make the transition to the new industries and new type of economy. Overall, there may be a net benefit to society for the unprofitable, inefficient industry closing down, but within this net benefit, some workers experience a very high cost. If the government is able to help unemployed into new jobs, this will get the best of both worlds – we allow the economy to evolve, but we also offer help to those who temporarily lose out. However, the difficulty is that ‘government retraining schemes’ are more difficult in practise than theory. Older workers may struggle to retrain with completely new skills. Unemployment rates in areas affected by de-industrialisation stayed higher than the national average for a considerable time, showing retraining schemes were either insufficient or ineffective. Government intervention could also try to encourage investment in deprived areas because in areas of high unemployment, it can be difficult to tackle the economic malaise. The government could move civil service jobs there (e.g. DVLA to Swansea, tax offices to Shipley and Cumbernauld). It could also offer tax breaks and infrastructure investment to deprived areas. This can potentially help reduce regional inequality and encourage new firms to set up. However, it is likely to take time, and there is no guarantee tax breaks would be enough to encourage firms to set up in areas of high unemployment, but low skilled labour force. Is the industry worth saving? The key question is – is the industrial decline terminal, or is it just a temporary set back? The US government offered significant financial assistance to the US car industry, when it looked like it would go out of business. 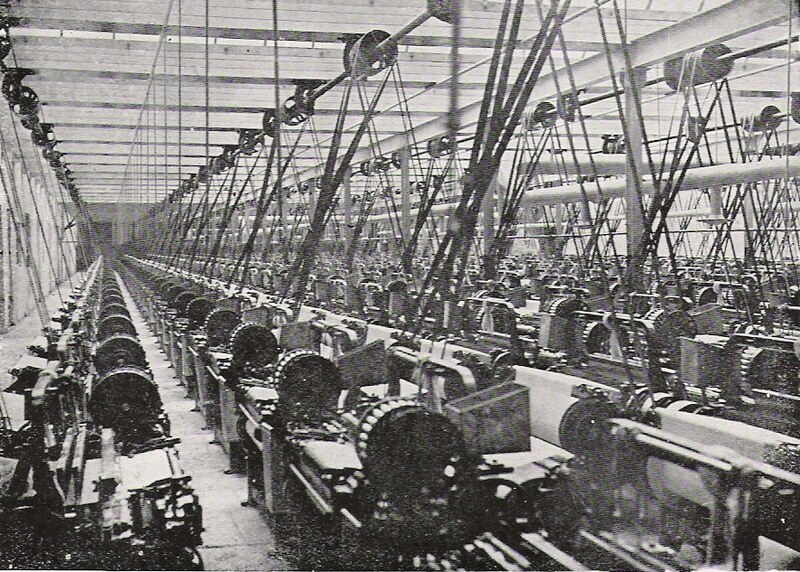 Many argued it was wrong to subsidise a declining industry. But, the financial support has enabled the car industry to reinvent itself and prove it wasn’t a terminal decline. Many argued the coal industry was of national importance – without coal we can’t power our electricity generation. But, now, we view coal in a different light because of the pollution and impact on global warming. Now, there is a better case to subsidise renewable energy sources, rather than subsidise one of the main industries contributing to global warming. Unfair trade? A big question is whether UK steel is suffering because of unfair trade competition with China. It has been argued that UK steel is unprofitable because of a glut in the world supply of steel and unfair tariffs from China. If this is true, then government intervention could be justified until the over-supply is dealt with. However, it is difficult to know. Maybe the global increase in supply will be permanent, in which case, the government could be lumbered with a permanently unprofitable industry. A quick point about coal. The national coal board in the 70s and 80s also ran a pension scheme, but paid pensions out of the current account for simplicity. I don’t know how much this effected calculations of profitability when coal mines were closed. Don’t wait for your government to rescue you. You owe it to your family, community and yourself to plan ahead. If you find yourself working in a declining industry prepare to move on to another career and to form or become part of a new community. Qualify for work that matches your strengths. This may take some time so work all the hours you can and save enough to take a sabbatical while you study and requalify for your next career. We may enjoy several careers before we retire.